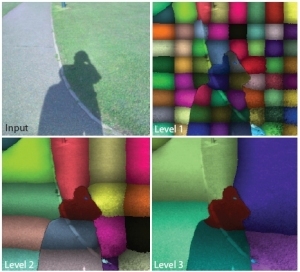 This paper presents a new dimensionally-reduced linear image space that allows a number of recent image manipulation techniques to be performed efficiently and robustly. The basis vectors spanning this space are constructed from a scale-adaptive image decomposition, based on kernels of the bilateral filter. Each of these vectors locally binds together pixels in smooth regions and leaves pixels across edges independent. Despite the drastic reduction in the number of degrees of freedom, this representation can be used to perform a number of recent gradient-based tonemapping techniques. In addition to reducing computation time, this space can prevent the bleeding artifacts which are common to Poisson-based integration methods. In addition, we show that this reduced representation is useful for energy-minimization methods in achieving efficient processing and providing better matrix conditioning at a minimal quality sacrifice.